POSEN, MI — The Posen Vikings hosted the Hillman Tigers Thursday night, and the Vikings were on the hunt for their first win over the Tigers in almost seven years. Vikings took the early 23-16 lead in the first after Jared Sharpe knocked down three 3-pointers. 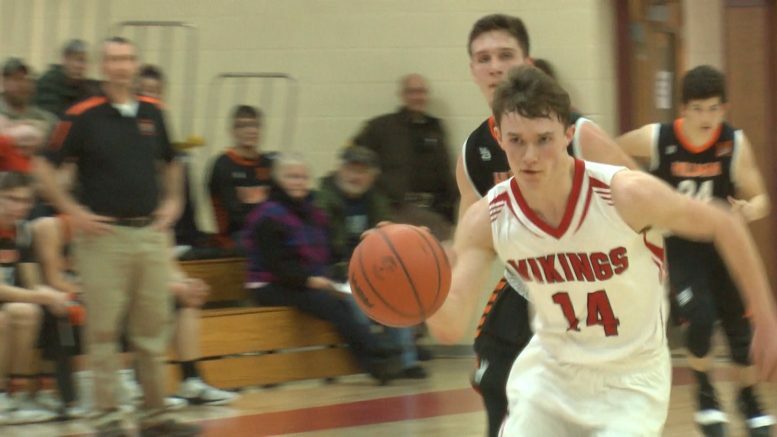 Hillman put up a good full court press, but that did not stop Jeremy Misiak from scoring 11 of the Vikings’s 19 points in the third quarter. Posen topped Hillman 68-51 for the first time since February 17, 2012. The Vikings improve to (6-3) overall and (4-1) in the North Star League-Little Dipper. Posen has a tough week ahead hosting Mio on Tuesday, January 22nd and traveling to undefeated Oscoda on Friday, January 25th.